Calling it a "good-faith effort" to help the Egyptian people, U.S. Secretary of State John Kerry released $250 million in economic aid Sunday, with a pledge of more if President Mohamed Morsy implements economic and political reforms. Kerry's announcement came after a series of weekend meetings in Cairo with a cross-section of Egyptians and a two-hour session with Morsy on Sunday. "When Egypt takes the difficult steps to strengthen its economy and build political unity and justice, we will work with our Congress at home on additional support," Kerry said in a written statement on the talks. But right now, Kerry said, Egypt needs help. 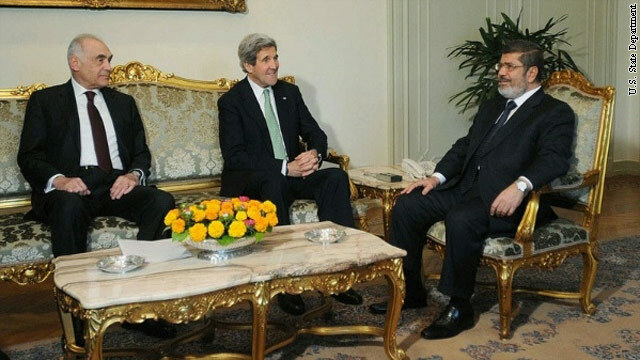 "In light of Egypt's extreme needs" and assurances by Morsy that he will take the steps necessary to obtain a major loan package from the International Monetary Fund, Kerry said the United States would provide the first $190 million of $450 million in already-promised support funds to the Egyptian government budget. 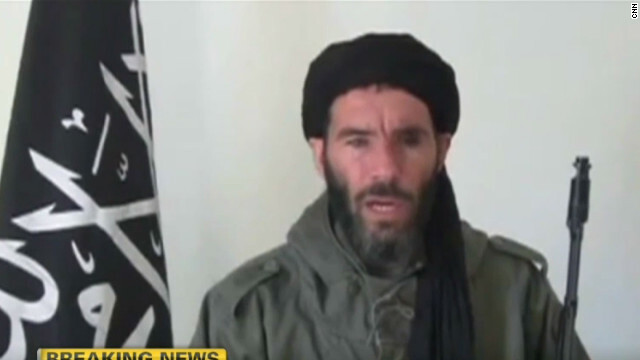 The Obama administration is still searching through incoming intelligence reports to look for specific evidence to confirm that jihadist Moktar Belmoktar was killed in a raid by Chad military on a jihadist base in northeastern Mali, a senior U.S. official tells CNN. "We don't have enough evidence to support the claim" made by Chad, the official said. But he emphasized the U.S. is taking it seriously and "not dismissing it out of hand." "We want to have a level of certainty about it before we say it’s true, and we are not there yet," the official said.